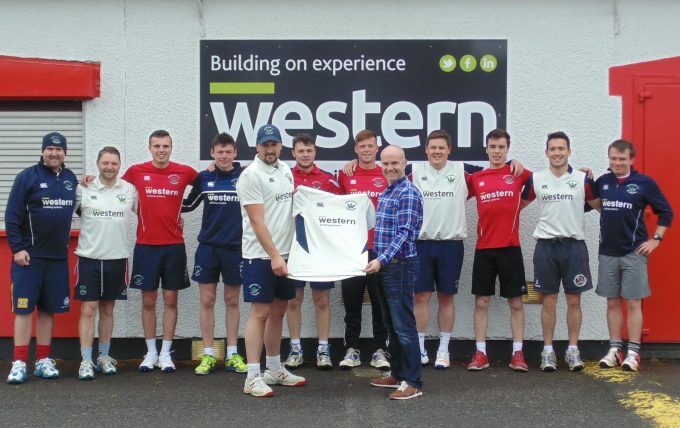 Western Building Systems are delighted to announce coming on board as Principal sponsor for Derriaghy Cricket Club for the next 3 years. This is the second occasion that the company have shown their support for the Northern Cricket Union League 1 side. The new sponsorship agreement will see the Western logo displayed on all the club 1st XI league competition clothing and also on various advertising boards around their ground on the main Lisburn to Belfast Road. Having won two junior league titles, as well as the prestigious Graham Cup for Under 15s in the season just finished, Derriaghy CC hope that further success will follow for both the club and Western in the coming years.